LingDong - High Performance Bearing Tip Spin Top! The YongJun Space Spin Top is a really great new spin top that is perfect for any beginner to intermediate spin top thrower! This cool looking spin top is available in a variety of vibrant colors and has features is a bearing tip design for improved performance. It was designed from highly durable translucent plastic, able to withstand drop after drop, which makes it perfect for anyone learning to throw tops or looking to try some new riskier tricks! 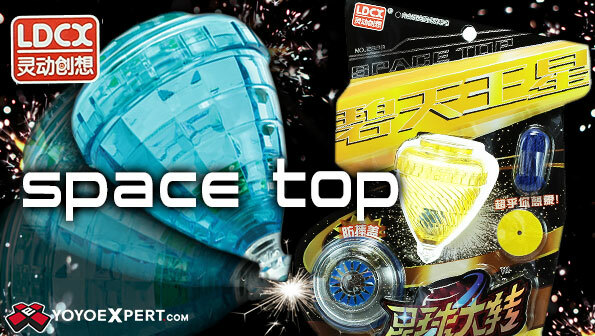 Pick up the new Yongjun Space Spin Top and get started on your top spinning journey!